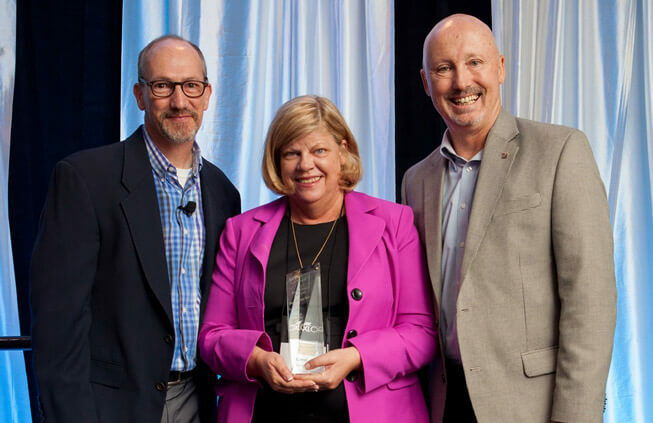 Jennie-O® all-natural reduced sodium sliced sandwich meats named Best New Product for Foodservice-Front of the House. 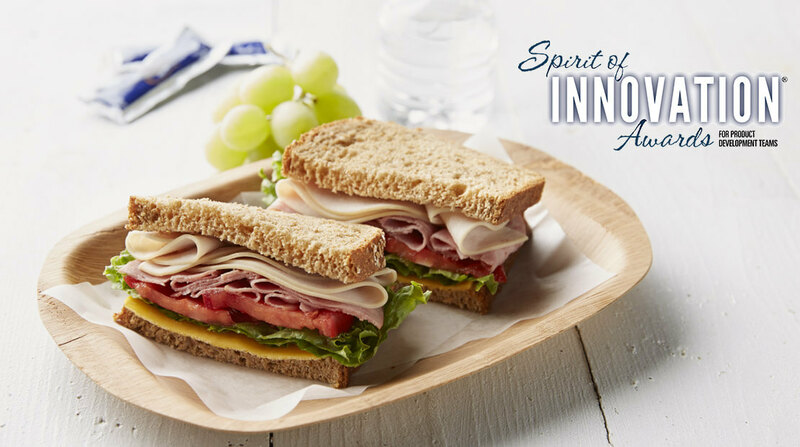 Jennie-O Turkey Store was recently honored with a Prepared Foods Spirit of Innovation award in the Best New Product for Foodservice (Front of the House) category for Jennie-O® all-natural reduced sodium sliced sandwich meats. The Jennie-O®all-natural reduced sodium sliced sandwich line of products was launched in 2016 to address a few of today’s consumer needs, including the desire for all-natural products with cleaner labels. The product offering for the education dining program is a line of six pre-sliced sandwich meats made from turkey. The varieties inlcude oven roasted, smoked, ham, pastrami, salami and bologna. The award was accepted by Carol Gnan, director of educational sales, Jennie-O Turkey Store. The R&D and marketing teams worked together on this product launch, selecting the right mix of products and formulation needed to make this product line successful. The formulation work involved removing unwanted ingredients while retaining flavor and ensuring the proper nutrition to meet established guidelines. To read more about this award, click here: http://www.preparedfoods.com/articles/120231-spirit-of-innovation-awards.